BEVERLY, MA— Last fall, Charae D’Ambra had a Eureka moment as she drove past the property at 81 Bridge Street. Ever since trading her career in pediatrics for the full time job of parenting, D’Ambra had searched for a place where children could play in safety and warmth all year round. Her search came up empty—that is, until D’Ambra drove down Bridge Street and realized she could build it herself. Today, D’Ambra’s dream—The Children’s Piazza—sits near the corner of Elliot and Bridge Street and celebrated its grand opening February 7th. The timing was perfect for parents of toddlers and infants as Massachusetts experiences one of its heaviest winters. The indoor play area offers two large cedar playscapes inside the soft, sage-painted space. Moms and dads can relax at café tables and socialize while watching their children. Toddlers are free to run and explore the Piazza, including smaller rooms housing play kitchens, train tables and a miniature ball pit. A quieter, enclosed area lies on the far side of the Piazza, filled with soft toys and climbing spaces for infants. “Once I stopped being a pediatrician and became a stay-at-home mom, I felt like I had free space in my head,” said D’Ambra. She wanted to continue helping children and their families on the North Shore, and the Piazza was born. SALEM—Some people think of The House of the Seven Gables as the home base for all things Nathaniel Hawthorne. Lucky patrons of the Gables—usually troops of elementary school students—may remember the historic house as a quaint destination where they climbed up the notable secret staircase. But this month, guests of the House of the Seven Gables will experience a different aspect of history: a Golden Age exhibit of high society and ornate handbags. The exhibit, run by Karen Barter, the Gables’ director of development, will stage a variety of handbags dating from the early 20th century throughout the historic home. It opens March 4 and runs until March 17. Because the bags come from various eras and countries, each bag is unique. Several will be staged with backgrounds, like a grand piano, alongside other historical pieces like clothing and opera glasses. The pocketbook, for instance, used in the “wedding” stage is covered in pearls, created by iconic French designer Paul Poriet. Predating Poriet’s pouch-style bag are others, including one made entirely of metal mesh. These laboriously crafted mesh pocketbooks were posh during the 1930s. 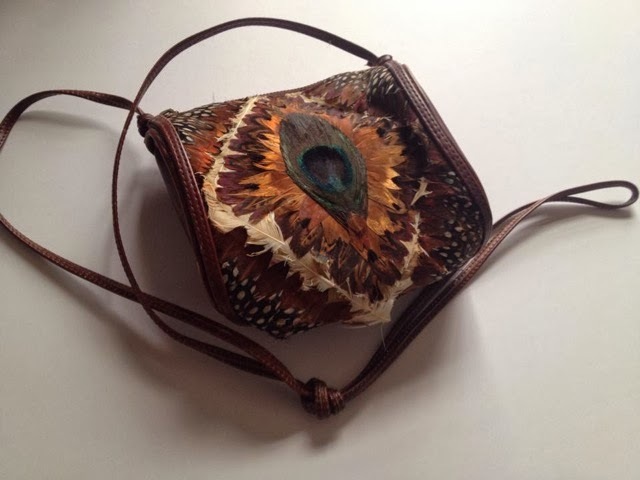 The unique accessories are a combination of two collections, one owned by Mary Lou Ferriero, and the other by Marion Powers, an art teacher at Manchester-Essex Regional High School who owns about 100 such pocketbooks. Barter saw the pocketbook exhibit as a great opportunity to build on the Gables two-fold mission that began over a hundred years ago. Since 1910, Caroline Emmerton, then the owner of the Gables, opened the house as a transitional house for newly immigrated families where they could live and learn useful skills such as English. Ever since, it has been serving Salem’s immigrant population. EVERETT—During her senior year of high school in Everett, Pillar Desouza had to balance writing college essays with writing business plans. Desouza was only seventeen when she and her father traveled to his native country and opened their first business together, a milkshake shop in Serro, Brazil. Now 20 and a college sophomore, Desouza has brought the business to the U.S. and is the official owner of “I Love Milkshakes,” an innovative milkshake shop located in downtown Everett. “I Love Milkshakes” combines the concepts of an old school ice cream parlor with today’s frozen yogurt trends and a touch of Brazilian delicacy. And despite the New England winters, Desouza’s milkshake shop draws customers all year round. Desouza’s parents are native to Brazil and moved to Massachusetts in 1998. Her family often goes back to visit their friends and family and in 2010, Desouza and her father made a unique observation that sparked their first business proposal. SALEM – In the 1960s, Judy Richardson left college to be a part of the freedom movement throughout the southern states. She became a staff member for the Student Nonviolent Coordinating Committee (SNCC) and later used what she learned to produce a number of documentaries about the topic for Public Broadcasting Services (PBS). Now Richardson, a distinguished visiting professor at Brown University, spends her fall semesters teaching a civil rights documentary course, and her spring moderating workshops and discussions throughout the region. As part of its Black History Month, Salem State University has invited Richardson to talk about how far the civil rights movement brought the country, but also the challenges that still remain in moving towards reconciliation. “If we think only Martin Luther King Jr. made the difference, then we will not know that we can do it again,” Richardson said. Richardson will be on campus February 28th as SSU also launches its spring film series titled, “Created Equal: America’s Civil Rights Struggle.” The series begins with a screening of Stanley Nelson’s Freedom Riders, a documentary recalling the events of 1961 when over 400 students, black and white, traveled around the south to challenge segregation. While the Freedom Riders faced violence and, for some, jail time their nonviolent protests against racism sent a message of hope for a better future. Similar films about the civil rights movement will be shown monthly throughout the spring. “Our platform is to have meaningful conversations about what (still) needs to be done,” said Bethany Jay, assistant professor of history at SSU. 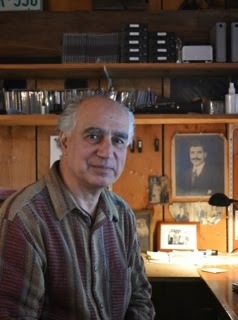 GLOUCESTER—If Nubar Alexanian, a Gloucester resident, was to ask someone in a local coffee shop about the Armenian genocide of 1915, he might get a confused look and embarrassed shake of the head. But if Nubar was to walk into a coffee shop in Istanbul, Turkey, and mention the genocide to the barista, he could end up in hand cuffs. Both situations—ignorance and Turkish denial—are why Nubar, 63, and his daughter Abby, 25, decided to make a documentary called “Journey to Armenia” about their own personal and familial connections to the 1915 genocide. The Cape Ann Forum will premiere a 15-minute sample of the documentary on Feb. 23 at the Cape Ann Community Cinema in Gloucester from 7 PM to 8:30 PM, including a question and answer time with Nubar and Abby. The full 60-minute film should be released in February 2015..
After 100 years and three generations of silence, Nubar and Abby began research, family interviews, preliminary filming, promotion and fundraising before embarking on their trip to eastern Turkey in May 2012. They traveled over 2,600 miles in three weeks, and Nubar says every village they stopped in smelled like his grandmother’s kitchen. Newburyport, Massachusetts – Ever imagine being hit in the chest with a baseball bat? What about coming to the realization that you might not see your child get married one day? A heart attack can do just that. But a heart attack is not always the end of a life, and for one Newburyport man it was the start of a new and better one. In July 2011, Dan Tymann, now 54, suffered one that changed his life. According to the Center for Disease Control—who has named February, American Heart Month—715,000 Americans a year experience a heart attack. And over 600,000 Americans die from some form of heart disease each year, making it the number one killer in the U.S. Tymann narrowly escaped being one of them. 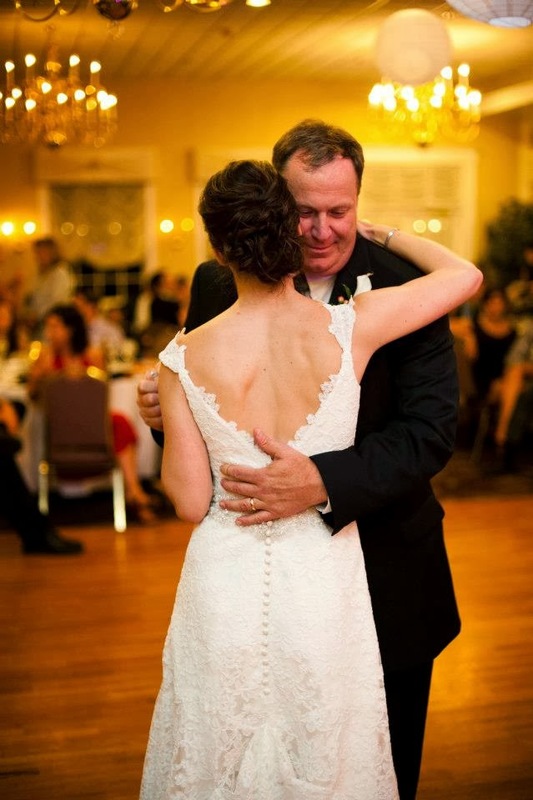 The family man and former corporate executive had just finished pushing himself in a Crossfit workout in Topsfield with his 22-year old daughter, Sarah, and was on his way home when he stopped for gas. He suddenly felt the impact of the proverbial baseball bat to his chest, and began considering lost time with his wife, daughter, and other important family members. IPSWICH—Boston born photographer Michael Hintlian fell in love with photography at age eleven while standing on a stool peering at a roll of Kodak Plus-X Pan film soaking in the kitchen sink. His father was performing a regular ritual as a photography enthusiast in 1963, developing a single roll of film, but Christmas, somebody’s birthday, Easter and the Fourth of July were on that roll—nine months in 36 pictures. Raised eight miles out of Boston in Winchester, Hintlian spent many hours in his high school’s dark room. But he knew early on that newspaper photography did not appeal to him and wanted more from the medium, which the School of Museum of Fine Arts in Boston provided for him. Now, four decades later, his work has returned to another college. As an Ipswich-based artist, Hintlian’s photos of Guatemala are currently in an exhibit in the Gallery at Barrington Center for the Arts at Gordon College in Wenham. The exhibit, “21st c. Monochrome: New Works in Black and White Photography,” includes Hintlian’s work along side nine other area artists, and runs through March 8.